Catherine hails from Napa Valley and knows how good those wines are, but even she admits that Paso Robles rivals Napa in quality and creativity. Christopher is a longtime fan of Paso wines, and he enjoys making an annual trek north for the Vintage Paso weekend (formerly called the Zinfandel Festival) March 20 – 22 to taste fabulous zinfandel wines, which Paso has become known for. 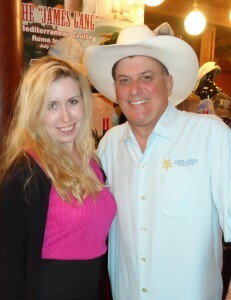 The trip is also an excuse to indulge in the Tobin James Cellars James Gang Festival, held this year March 20 and 21, and to visit other favorite wineries. This year, we intend to visit one we’ve never been to: Bianchi Winery, which has strong ties to Newport Beach. 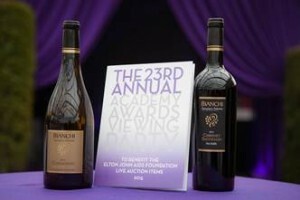 Winning awards is nothing new for Bianchi Winery. 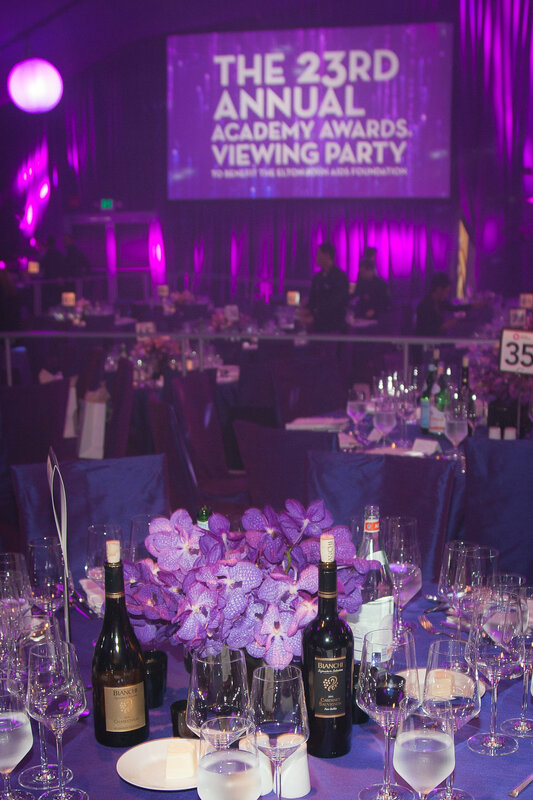 Pouring Bianchi wine at one of the most famous Academy Awards viewing parties is pretty special. Bianchi Winery General Manager Beau Bianchi rubbed elbows with Hollywood’s finest at Elton John AIDS Foundation’s 23rd Academy Awards Viewing Party at West Hollywood Park in Los Angeles. His family’s Paso Robles winery was the featured wine sponsor at this exclusive event. Beau and his wife Brandee joined celebrities including Alex Baldwin, Heidi Klum and Ozzy Osbourne in toasting award winners with Bianchi’s 2012 Chardonnay and 2011 Merlot alongside a menu designed by renowned chef Gordon Ramsay. Year by Wine Enthusiast magazine. Bianchi produces nearly 20,000 cases of wine a year and hand picks the appropriate appellations for each varietal. 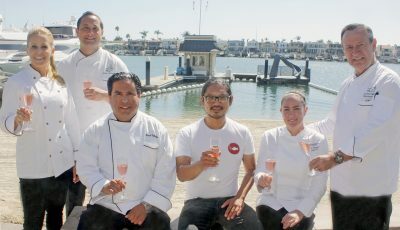 Locally, Bianchi said his wines are served at Billy’s at the Beach, 3-Thirty-3, Mastro’s, Javier’s, Island Hotel, and several others (they’re often in The Winery Restaurant, a wine cork’s throw from Bianchi’s office). You can also find Bianchi wines in many Laguna Beach restaurants, where Beau and his wife live. For more information, visit BianchiWine.com. 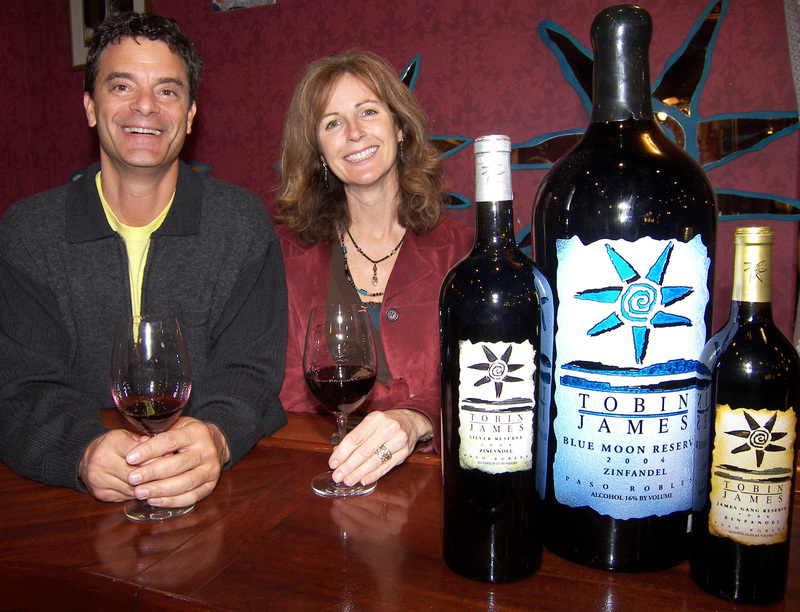 Christopher has been a Tobin James fan since first visiting the winery in 2000, and introduced Catherine to the Tobin James experience several years ago. Anyone who has been to the Tobin James tasting room would agree it’s an experience—the theme is Wild West, and the authentic décor accents the theme. We caught up with Tobin James co-owner Claire Silver recently, who told us their wine club now numbers over 25,000 members—the most of any winery in the world. “We have loyal members, we treat them better than we want to be treated, that’s what it’s all about,” said Silver. That’s saying a lot, because the quality is already excellent. Their flagship wines are some of the best under $20 wines you can buy, while their reserves (such as the Silver Reserve or the coveted Blue Moon label) are stellar. Tobin James is known for its blends, and for sourcing grapes from small vineyards that offer specific flavor profiles. So what’s Silver’s favorite Tobin James wine at the moment? “For the Zin Festival, we’re releasing the 2012 French Camp Zinfandel, and the 2012 Fat Boy Zinfandel,” she added. 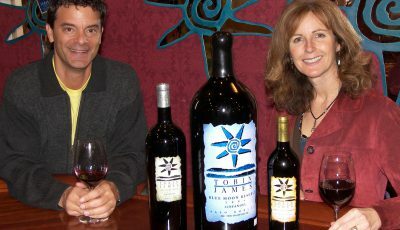 Tobin James Cellars has a huge So Cal following, and is available locally at the Pavilions on Bayside, Hi Time Wine Cellar, and select restaurants. 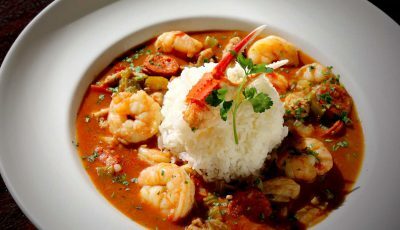 The Tobin James wine celebration on March 20 and 21 features some two dozen local restaurants serving signature cuisine, four different musical acts, and dozens of different Tobin James wines available for tasting. Tickets are on sale now. 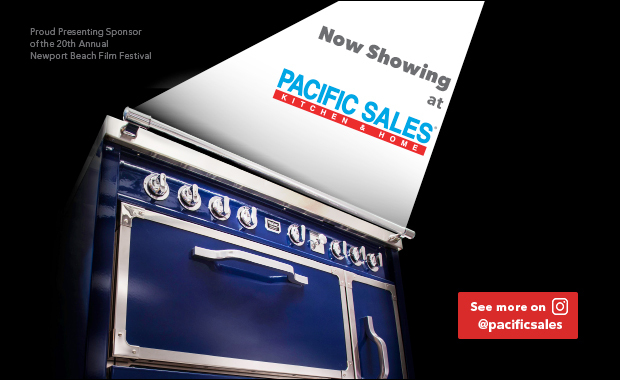 Call the winery at (805) 239-2204 or email [email protected], but do it soon because the Festival usually sells out. For more information, visit TobinJames.com. By the way, we have tickets for the March 21 Festival, so if you’re going, be sure to say hi—you can usually spot us near the Fat Boy Zinfandel booth.